testo 6381 differential pressure transmitter | Pressão diferencial | Pressão | Parâmetros | Instrumentos Testo S.A. 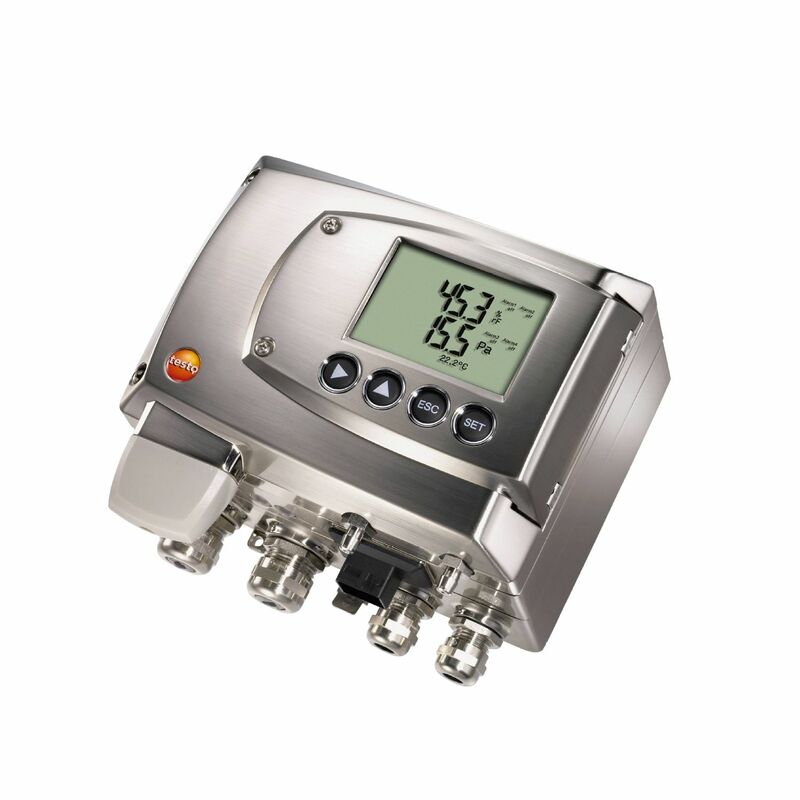 The testo 6381 transmitter was specially designed for monitoring differential pressure in the 10 Pa to 1,000 hPa measuring range. In cleanroom technology, the maintenance of positive pressure prevents the entry of contaminated air. In order to keep the cleanroom conditions constant, the transmitter additionally calculates volume flow and flow velocity from the measured differential pressure. A particularly outstanding feature of the testo 6381 pressure transmitter for differential pressure is the automatic zero-point adjustment, which ensures high accuracy and long-term stability. The integrated self-monitoring and early warning function also guarantees the operator high system availability.